Gonzalo was born and raised in the Belmont area of the Bronx. Raised by a single mother who emigrated from South America. He attended DeWitt Clinton High School where he participated on the wrestling and football team. Originally, he had an affinity for animal sciences and wanted to become a Veterinarian. However, plans changed when in senior year he volunteered to join the United States Marine Corps. In the military Gonzalo did 8 years, reached the rank of Sergeant with one tour in Iraq. In that time he became a devoted father of two. After leaving the military, he faced a difficult transition, becoming homeless and struggling to find work. Once becoming settled, he graduated from Fordham University with a Bachelors of Science in Health Science with aspirations of becoming a doctor. Once stable, Gonzalo soared at his work within the Veterans Affairs and Labor Department by surpassing quotas. But seeing how these places, meant to bring resources to the Bronx, focused more on making money and less on helping people, he grew disenchanted. And once again, his plans changed. As a United States Marine Corps Veteran, Gonzalo came from the battlefield only to find that another battle awaited him in his home in the Bronx. Through his own personal struggles, he found out that his fellow Veterans were facing difficult situations with little to no help from the same organizations that they had put their lives on the line for. He was left with a choice, enjoy his stability that took time to regain or take his revenue to form a non-profit for Veterans. Being CEO of Devil Dog USA, Incorporated, Gonzalo has seen the needs of Bronx Veterans as well as those within his community. He has fought for the Bronx and its image, trying to be a good representative of our borough when traveling outside the state. Through his work at Devil Dog USA, he was able to create a hub where Veterans coming back home have access to resources with some of the problems they are facing. This was done through housing programs, employment workshops, and providing outlets where the community is welcoming them with open arms. Veterans have had the chance to participate in recreation through golfing, tennis, and scuba diving. Even though underfunded, they were successful in touching thousands of Veterans across the country by advocating for mental health awareness, suicide prevention, unemployment, and ending homelessness. Part of how this was done was through his television and radio show as well as publications and media commentary. 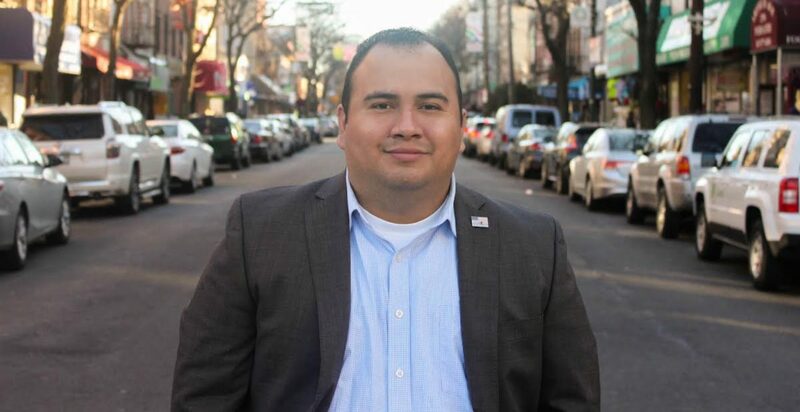 In recent years, after watching his neighborhood suffer in terms of the low economy, housing that is only affordable in name, low-wage employment, and a decrease in safety, Gonzalo hopes to change this. He foresees, that with the continuing trends, the next generation of Bronxites will not be able to afford to live in the Bronx. This is because the pandering to developers have caused a boom in building housing that is ‘luxury’ and malls that are meant for those who are moving into that higher end houses. These are only some of the highlights of Gonzalo’s life but there is more to what he has done and accomplished. He firmly believes that the only way to improve what is going on is to throw himself in the ring and run for City Council.